Both of our owners have a background in the business. They are also experienced in electrical and mechanical engineering, fabrication, search and rescue, as well as fire emergency medical technician (EMT). 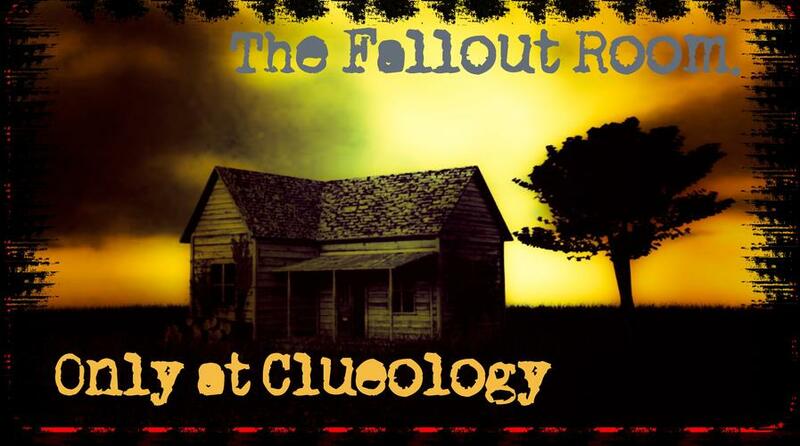 When designing Clueology Escape Rooms, they lend their expertise and experience to create unique, realistic, immersive scenarios. Our facility has the industry’s first, high-tech simulation rooms, and has the largest venues for parties and team-building activities in our area. Also, we have the highest customer satisfaction rating in Colorado! No matter the size, needs, and preferences of your group, our skilled team can provide you with striking and entertaining escape games. Ryan and Krista Cagnina established the company in 2016. They started the “Clueology” brand because they wanted to bring a new form of family entertainment to Colorado's Front Range. Since our inception, we have been providing our clients with exciting, impressive escape rooms as well as great customer service. If you’re looking for a memorable, healthy family entertainment or an effective team-building activity, you should consider booking one of our escape rooms. Our facility only uses high-quality components, cutting-edge technology, and groundbreaking design. This way, you will experience an outstanding escape room adventure like none other! We aim above and beyond to provide you with an unforgettable, immersive experience when you visit our escape rooms. For this goal, we utilize cutting-edge technology and highly detailed simulation rooms to add excitement, suspense, and a huge “wow” factor in every fun and challenging game scenario. 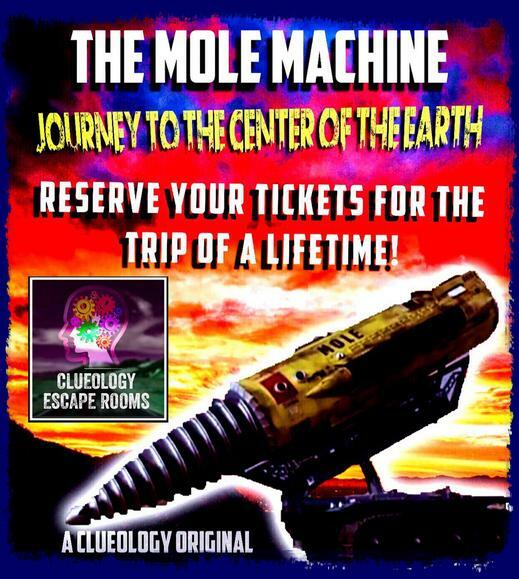 A journey to the Center of the Earth on the amazing mole machine! Locked away on the rock facing execution within the hour. The BIG-ONE hits! Escape is up to you. Break into the hidden cabin in the woods, and discover secret passageways, stolen government files, and a robot on patrol. 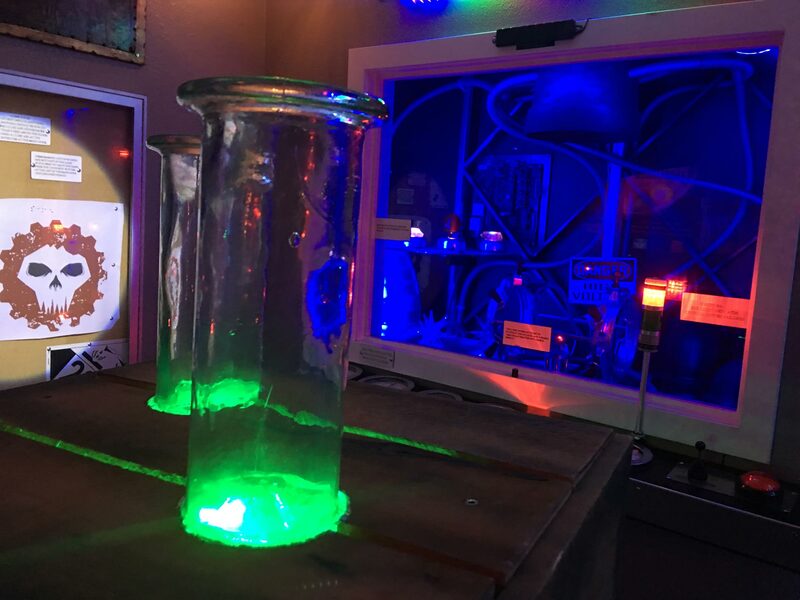 Here at Loveland Escape Rooms Clueology in Loveland, CO, we pride ourselves on offering unique family entertainment with our escape rooms. We utilize a full spectrum of electronic, mechanical, artistic, realistic, and good old-fashioned analog puzzles and contraptions. No corners are cut here! We invest as much time and money as it takes to ensure that we can offer a one-of-a-kind adventure experience to every single guest! We have tons of automated features and top craftsmanship down to every detail. We even utilize the industry’s first cutting-edge first-person view (FPV) robot that you can maneuver through a room to disarm booby traps! All of our games are built to exacting standards and thoroughly tested to assure that you will get the best escape experience possible! Copyright Clueology Escape Rooms in Loveland, Co.
Game rules are simple; you will be given a description of the scenario you have chosen. You will then be escorted into the “START” location. At this time, the main door will close, and the clock will begin its countdown. You will be given an hour to complete the challenge by using four clues or less if you would like to achieve leaderboard status. However, you may have as many clues as needed! Each room will have many hidden clues, mysteries, riddles, mind games, as well as interactive electronic and mechanical challenges. Don't worry; if you get stumped on a challenge, we would offer clues and hints to keep your game moving forward. The goal is to assess your strange surroundings and use logic, common sense, as well as creativity to escape the room. Who knows, you may even unleash survival skills that you didn't even know you possess! If you are unable to resolve the game in one hour, don't worry! Your game master will instruct you, helping you complete your unsolved obstacles within an additional 15-minute bonus! Every player will see 100% of the game! Another Clueology first! At Loveland Escape Rooms Clueology, we believe in living life to the fullest, which can mean pushing the perceived limits of our mind and body. Not only do we pride ourselves on thinking outside the box, but we are also not aware there was a box to begin with! Join us at our new Loveland facility, and enter the minds of our creators and founders—Ryan and Krista Cagnina. We have prepared an exhilarating journey that combines the life experience, as well as accumulated knowledge and backgrounds, of the two. Our rooms are like no other! That’s the greatest thing about the escape room phenomena—no two are alike. Our game architect Ryan Cagnina has diverse experience in mechanical and electrical engineering, welding, fabrication, fire emergency medical technician (EMT) work, search and rescue, music production, paranormal investigation, competitive motorsports, as well as praise and worship at our local church. With his great background and extensive knowledge, we assure you that we can create impressive games that will provide you with a unique and thrilling experience at Loveland Escape Rooms Clueology. Loveland Escape Rooms Clueology is a family-owned-and-operated faith-based establishment that started out as a simple visit to an amazing escape room in Boulder, CO and blossomed into our own family-run business, and we love it! We, along with the seven children in our family, wanted to start a business that we could all enjoy—one that will allow us to spend as much time together as possible as well as teach our children the process and challenges of being your own boss. This is not a side job for us. Rather, it's a way of life, and we tend to every detail of our games to give our guests the most enjoyable experience possible. Our job may seem overwhelming, but when you love what you do, you will never have to work a day in your entire life! Pay us a visit! We love to entertain our guests and receive feedback of all kinds, as we strive to have the best escape rooms around! Thank you in advance, and we hope to see you there! 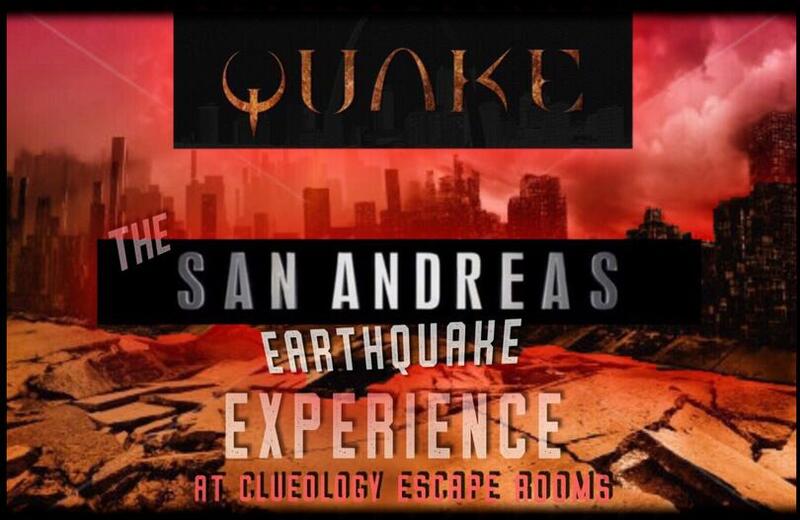 Visit us, and personally experience our unique, family-friendly escape rooms! We offer the most high-tech and stunning games around, and our facility received the top customer rating in Colorado for 2017. Schedule a sneak-peek of our astonishing simulation rooms, you will surely be encouraged to play! To view our games and to book our rooms, get in touch with us. We serve clients around the country!